Clearing out the email and thought you might be interested in the following press release and email notifications. The 3nd Annual River Towns Ride & Festival is a one-day joint festival held between the two waterfront towns of New Castle and Delaware City. This year’s event will be held on Saturday, September 16, 2017 from 11:30-5:00 p.m. The two towns are 10 miles apart and connected by the bike-friendly corridor of Route 9. The event will feature 9:00 a.m. competitive bicycling time trials component for cash and prizes AND a recreational ride where cyclists can pick their distance and ride for fun or earn a medal. Festivals will be held in New Castle’s Historic Green and Delaware City’s Battery Park starting at 11:30. Activities at both include live music, food, drink, children’s games, hay ride, face painting, sand art and kid’s crafts.. The highlight of the event will be a craft beer festival at both the New Castle Green and Delaware City Battery Park. 10 craft brews will be available. Admission is free and food, drink and beer are available for purchase. A free shuttle bus is provided for day-long transportation between each town. A community festival like this needs the participation of the community. Please volunteer a few hours of your time to make this an exciting and fun event for New Castle. Let us know which areas and what times you can help. Thank You! – or those that I remember. So, what we call “festival season” has started with a bang. August, September, October usually see a lot of activity as annual festivals grab their spot on the calendar and new festivals try to find a nice place to fit into the already crowded weekends. Such as this year’s first annual Downtown Brewfest. The event was held right on Market Street in Wilmington (the 800 block to be exact) and attracted a nice crowd to the Saturday afternoon event. I thought the event hit a lot of the marks you’d want from a beerfest, and I hope it becomes a permanent addition to our calendar. Several weeks later it was time for one of our favorite annual events, Delaware: A Brew Story. Every year this event draws almost everyone who is anyone in the Delaware beer scene (including some who have not opened their doors yet) and this year was no exception. Some pretty nice beers were available, and as always local historian John Medkeff Jr gave a fine talk on Delaware beer history. This year’s theme was the “Roaring Twenties” and so in fitting fashion, John gave a fine talk on the history (and impact) of prohibition on the breweries of Delaware. Sadly, both events came up light from a picture standpoint, as I only took a few at Downtown, and expecting to have to deal with some rain at Brew Story, opted to take the night off and just enjoy the event. So with no real pictures, and you all knowing what a beer festival looks like by now, I thought I’d take this time to toss out some “news” tidbits that I picked up as I made the rounds at both events. Sadly because Downtown was over a month ago, some of the things that I was told at the event have already been posted by the breweries, but I’ll include them along with a link where you can find more information. Stitch House is full of shiny tanks, and looks to be moving right along towards their much anticipated opening. Craig Wensell said he’s been trying to incorporate some fun names into his beers but has run into a little resistance from the rest of the team. I mean, who wouldn’t want to order a “Get bent, Dover!”? 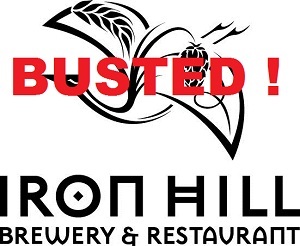 File this under SEVERE rumor, but I was told by someone not connected to the brewery that Mispillion is going through some repackaging for their beers. I have no idea why, I think their packaging rocks. Twin Lakes is continuing towards their goal of getting the brewery up to where they’d like it to be. Five beers will be making their way into cans, one of which was their previous offering, Greenville Pale Ale (a BBQ favorite of mine). Joining it will be – Blue Water Pilsner, Tweed Tavern Stout, Caesar Rodney Golden Ale and Chesapeake Wheat. And, they just posted that the tasting room will opening today! Stop by. A well known face in the biz who just finished opening a new brewery will be leaving that brewery to open his own concern. Keep an eye out for Wilmington Beer Works….or it might have been Wilmington Brew Works, but it’s coming. I could name him but thought I would let the parties concerned make the announcement when they’re ready. Midnight Oil is chugging right along with their brewery and hope to be opening in the not to distant future. In the meantime, the brewery had some awesome shirts made for the Brew Story event. Proceeds help John’s Restore the King efforts. If you’d like to support the cause, some shirts are still available. Click here to find out more. The Liquid Alchemy team is very excited for this weekend’s 3 day, first anniversary event which will feature a Franken-Cyser, special anniversary glasses while supplies last, and plus a hand-crafted anniversary chocolate bar from the fine people at Double Spiral Chocolates ($10, one per customer). Well that’s what I remember. I really should start taking my digital recorder to these things. Hope to see you all at Odessa this Saturday!! As has been reported by many outlets, Rep. Debra Heffernan, D-Edgemoor on Thursday introduced House Bill 31, which would essentially allow growler sales in the state of Delaware. As it appears to us, growlers can be sold by any authorized establishment that has an off premises license, with the additional purchase of a $150 license that would be good for two years. The interesting thing is that the original wording of the Bill covers restaurants with an off premise license, so by extension this bill might cover them as well. Of course the only restaurant I know of off the top of my head that has an off premise license is Jessup’s Tavern in Historic New Castle. It will be interesting to see how this plays out. § 516. Consumption off premises of hotel, restaurant, club, store or taproom. (a) Any person in charge of a hotel, restaurant, club or store (other than a grocery, delicatessen or cigar store), whether owner, lessee or manager, and recognized as such by the Commissioner, may apply to the Commissioner for a license to purchase and to keep and sell and deliver on the premises only spirits, wine or beer by the bottle or half bottle only, but not for consumption on the premises where sold, or in any dependency thereof. All bottles so sold shall be delivered to the purchaser and shall be removed from the premises where sold with the seals of such bottles unbroken, with the exception of those licenses that are approved by the Commissioner for a Growler Filler permit which allows a licensee to purchase beer by the keg or partial keg and fill containers at time of purchase which will then be capped to leave the licensed premises for consumption off of the premises. For purposes of issuing a new license under this section, all establishments licensed for the sale of alcoholic liquors, but not for consumption on the premises where sold, shall be considered as being of the same type; provided, however, this shall not apply to the transfer of ownership or the renewal of an existing license. (oo) For a Growler Filler permit as provided in §516(a) of this title, the biennial license fee shall be $150. This Act permits off-premises consumption licensees who obtain a Growler Filler permit to purchase kegs or partial kegs from wholesalers and fill and cap containers for the customer to consume off of the premises where sold.